This week has been bursting with healthiness! Salads, gym sessions, power walks and smoothies have all contributed to a super healthy week. As the weekend rapidly approaches, I think it’s high time for some sweets. I don’t want to get too healthy! 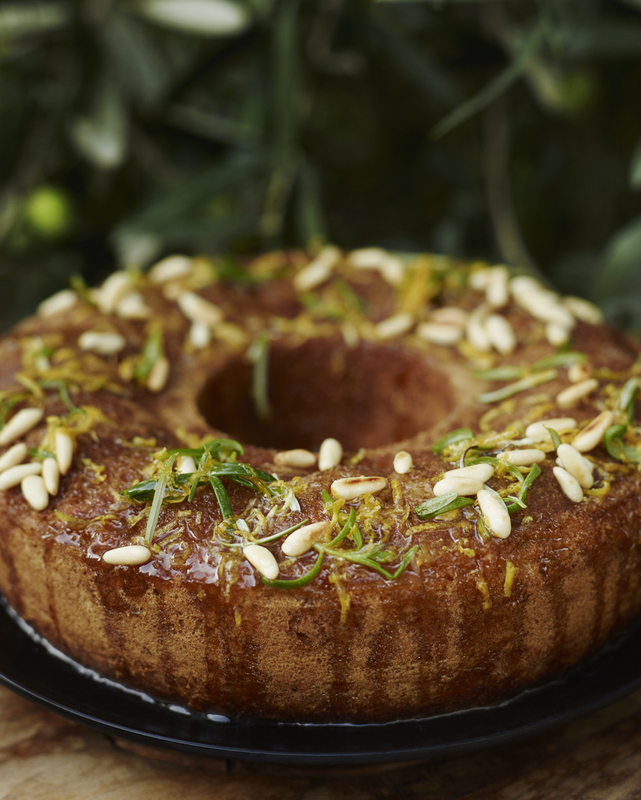 I have a weakness for cakes with lemon. 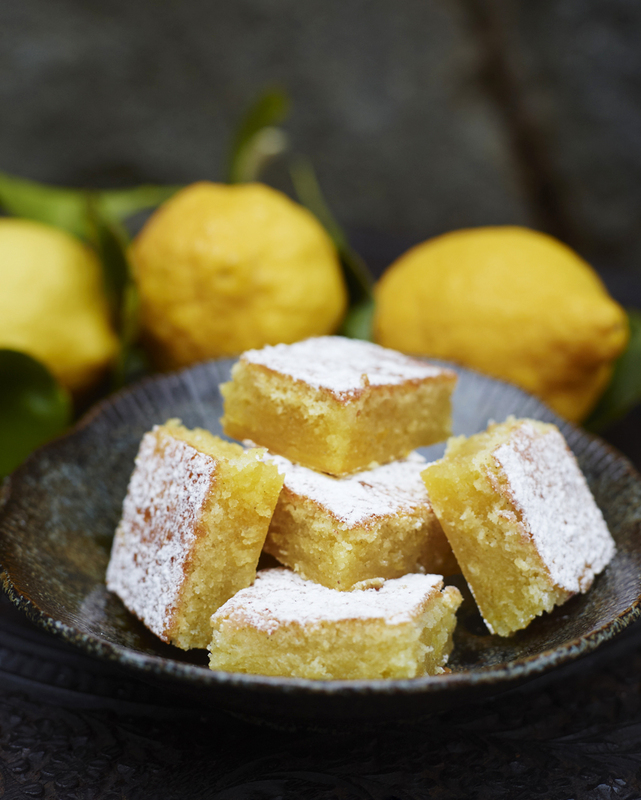 With a full lemon tree it would almost be a crime not to make these delicious lemon bars. Preheat the oven to 300 F degrees (150 C). You will need a baking pan sized 9 x 13 inches (22 x 32) cm . Line the bottom of the pan with non stick oven paper. Split the vanilla bean in half lengthwise and scrape out the seeds. Add the vanilla bean seeds, and the outer hull of the vanilla bean to the butter and set aside to allow the vanilla bean to infuse its flavor to the butter. In a mixing bowl beat eggs and sugar . Wash the lemons, zest one lemon’s skin. Make sure you don’t include the bitter pith (white flesh of the lemon) add to eggs and sugar. Squeeze and strain the lemon juice from both lemons, should make about 1/2 cup (1.2 dl) . Remove the outer hull of the vanilla bean from the butter. Combine lemon juice with the zest, in the bowl with the eggs and sugar mixture. Pour batter in to the cake pan place on the center rack in the oven. Bake for 30-35 min at 300 F (150C) degrees . Cut cake into desired squares sizes using a sharp kitchen knife. This entry was posted in Baked Goods Recipes on March 1, 2013 by Anna Huerta.